The long profile shows us how the River Severn loses most of its height in its first 10 miles. As tributaries join, the power of the water swirls debris across the river bed, causing erosion and deepening the valley. 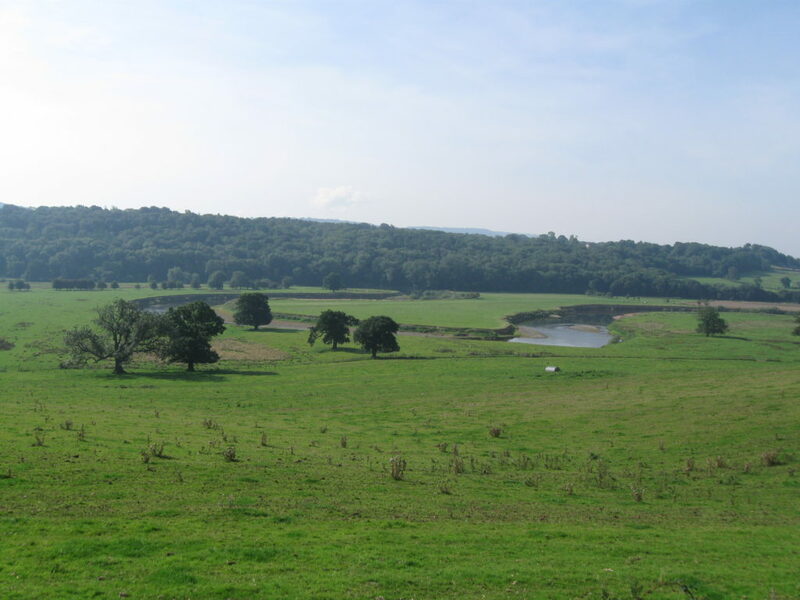 At Llanidloes, the Severn is only 160 metres above sea level, but it’s still got over 200 miles to go to get there. More tributaries join, and the river is flowing even more powerfully. It is still using its power to erode but it’s not cutting down and deepening it valley very much. Instead the erosion is now mainly sideways. When a river goes around a curve, the water doesn’t sweep round automatically. The water will tend to flow in a straight line, which means that if the channel curves, the main flow is heading straight for the bank. In this case straight towards the camera from the left. 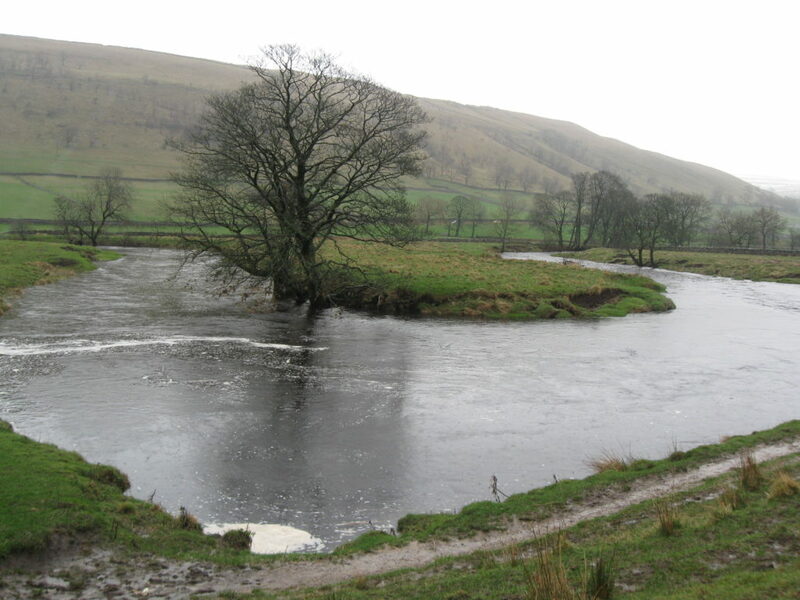 Of course, the curve does direct the water round, but the fast flow is on the outside of the bend, right by the bank and it is here that erosion happens. 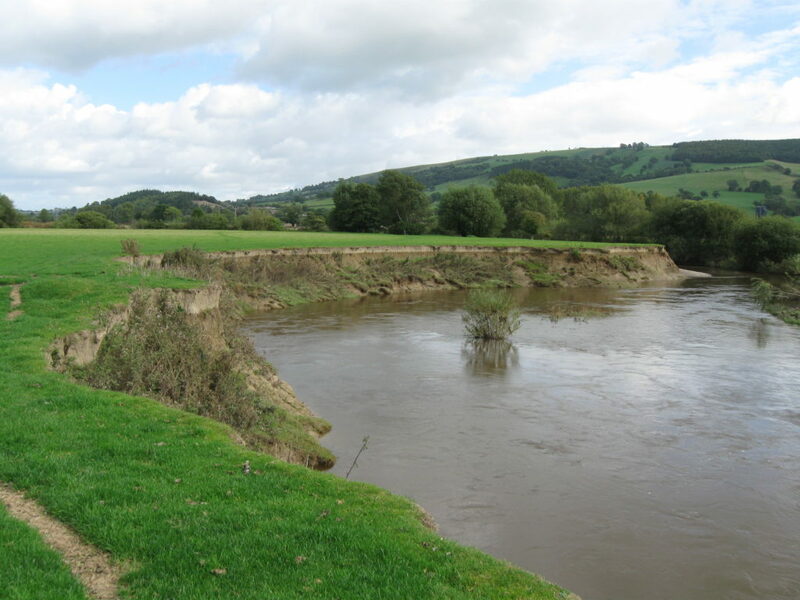 Any debris in the river is likely to collide with the bank, which can break other bits off and the loose material is easily picked up and carried away. Most damage to the bank will be fairly low down where the water is always in contact. Gradually the bottom of the bank will get eaten away by erosion. The upper part might hold on for a while but there is a gaping hole appearing underneath and eventually the bank collapses. Suddenly the river has a whole pile of debris to erode away, which it gradually does. Soon you are back once again to a curving channel with a river rushing past the edge of the bank, ready for everything to repeat. Except that everything has moved slightly – there is a bit less riverside than there was before. So, has the river got wider? Next week we’ll take a look at what is happening on the opposite bank.